Our mission is "Working for persons with disabilities toward empowerment to make informed choices". 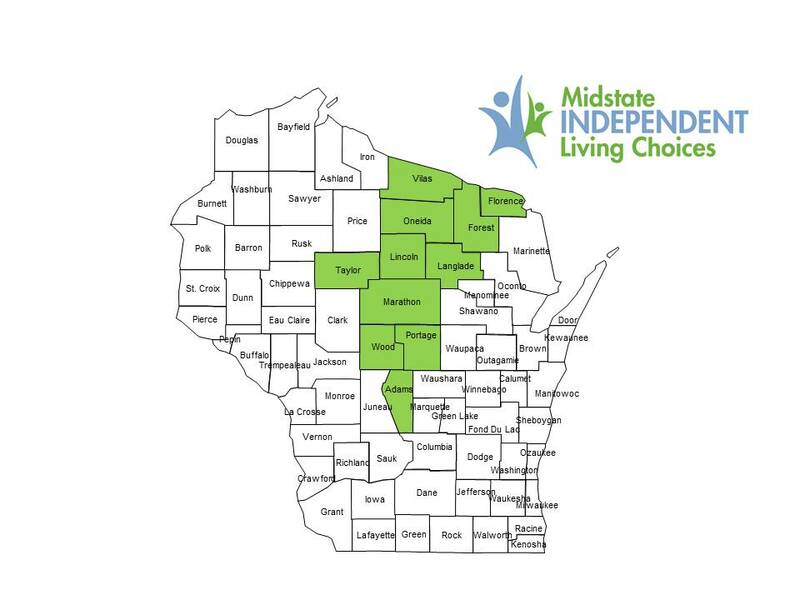 Midstate Independent Living Choices, Inc. (MILC) is a consumer controlled, non-profit, non-residential organization serving 16 counties in Wisconsin, since 2000. Our mission is “Working for persons with disabilities toward empowerment to make informed choices”. Fifty-one percent (51%) of MILC’s staff and its Board of Directors are individuals with various disabilities. MILC’s main purpose is to assist individuals with disabilities, regardless of age, in advocating for their rights and achieving their full potential within the communities of their choice. Through the development of an Independent Living Plan, the consumer defines their individual needs and goals by customizing supports and actions needed to meet these goals. We work with consumers to research, evaluate and assist them with making healthy decisions. Our services include: Information and Referral, Advocacy Services, Independent Living Skills Training, Peer Support, Transition Services, Community Education, Accessible Recreation, Representative Payee Program, IRIS Program and In Home Supportive, Respite, Supportive Home Care and Personal Care. MILC is invested in providing opportunities to empower and educate persons with disabilities to make informed choices and strive to assist consumers to learn to self-advocate. Through listening sessions with consumers, the community, provider’s input and consumer surveys other services have been developed. Additional services are: Assistive Technology (AT) Assessments, AT loan closet, Individual Educational Plan, Employment Planning, Architectural Accessibility Assessments and Benefits Counseling. Because of the ever evolving need, MILC has become flexible in taking on new opportunities that align with our mission and philosophical views and benefit the community.